Maybe replace your fuel filter ? I ran a Celica so low on oil once that it sounded like it was pinging. Check the oil? SOLVED!! so last week I had changed one of those solenoids above the intake manifold, the one with the green connector, because i had a p0660 code. apparently that was related to all the pinging and power loss because the day after is when it started. and just now I went and swapped the solenoids on the green and white connectors. and now everything is fine. the knock sensor code may have been a weird coincidence. so those solenoids are for the VICS/VTCS but I don't know how that caused pinging but i don't care cause its fixed. also, maybe that new solenoid was defective but its fine so whatever. There's a bunch of those vacuum solenoids on that car (I count at least 4) . are they all the exact same part? They're all the same but different. The electrical connector, vacuum tube orientation, and mounting clips could be different. 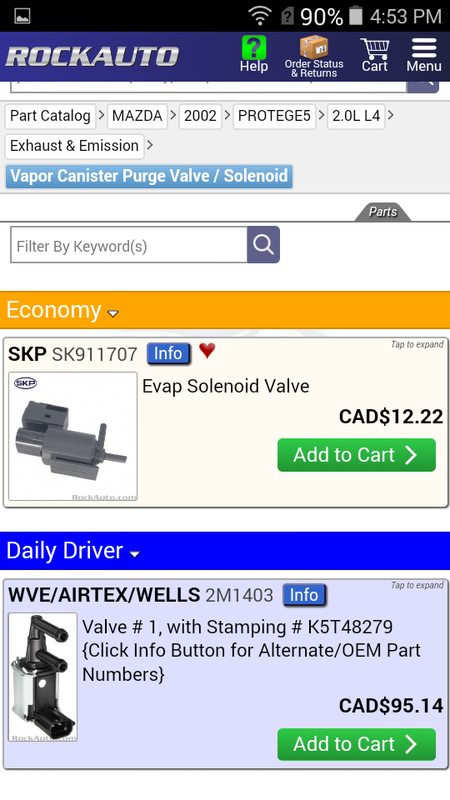 Rockauto lists these two solenoids as the same valve. Everybody has a different name for them and rarely call it what the FSM calls it. It always best to check the posted picture and compare it to what you have. Here's what the guy who owned my parts car did. The connector wouldn't fit because the electrical tabs were spaced different, so it wouldn't plug in directly. Here's some diagrams from the FSM. You can see how the PRC solenoid is slightly different. If you swapped the solenoids and one of them is defective, you may throw a VTCS code now. It might take a while for the code because certain engine conditions have to be met to throw the code. the circuit until the engine is warm and revving above 3000 RPM ? Perhaps to see if it has shut off ? If they just look to see if the CEL is on and maybe sniff your tailpipe your probably OK but if they plug into your OBDll port then they will find it. You might be OK if it's not enough to turn on the CEL. No, it is designed to hook into the fuel rail. I've never tried to put it in gas or anything, don't think I would want to. It's pressurized so will spray everywhere if you try to "open" it. Plus it's some pretty strong stuff, don't know what it would do to the tank or lines or filter or etc. 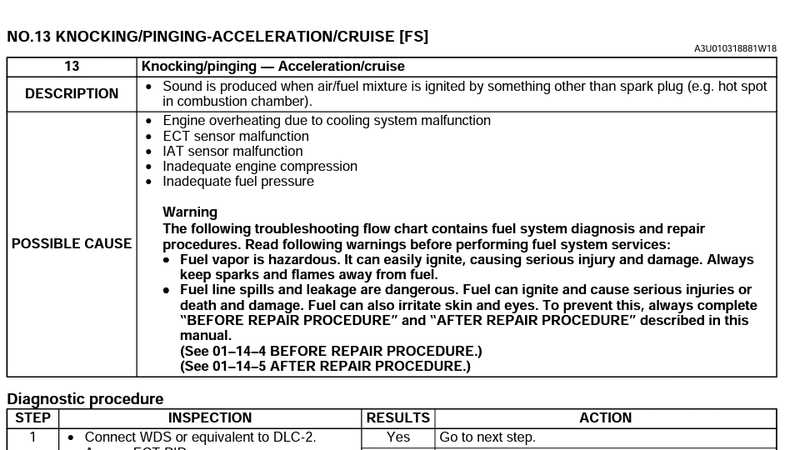 You hook the can to the fuel rail and disable the fuel pump. The car runs on the can until the can is empty. 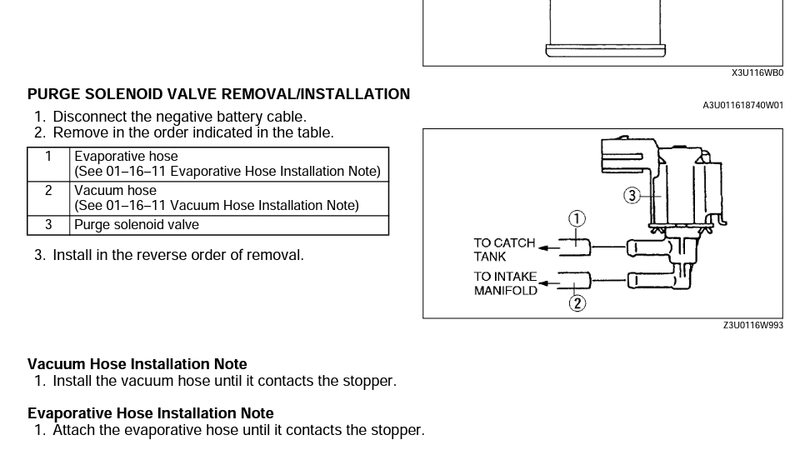 Then you just hook the fuel line back up to the rail. I'll stick with the Seafoam then. Luckily it's on sale for $10 a can this week. I'm gonna pickup a few.